Bob learned to fly at White Waltham in 1993 and has worked as a Flying Instructor with West London Aero Club since 1997. 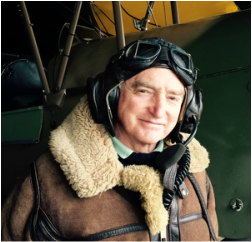 He has a particular interest in vintage aviation and has been flying Tiger Moths since 1998. He has flown over 1,500 hours in the Tiger Moth, mostly on 20 or 30 minute flights. 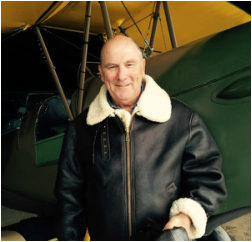 In between jollies in the Tiger Moth, Bob also instructs new pilots and those wishing to add instrument and tailwheel ratings to their licence. After learning to fly in Kenya, Robin enjoyed a career in the RAF, flying everything from Canberras and C130s to Hunters and the F4 Phantom. He then moved on to an airline career, working as a captain for easyJet until 2010. As well as owning and flying the Tiger Moth, he's kept his Airbus A320 and Boeing 737 ratings and now ferries aircraft around the world. Amanda has always wanted to fly, after being inspired by her father’s remote control models as a youngster. Something about the vintage side of flying is addictive to Amanda and she loves to show people the wonderful world of open cockpit flying. Starting with a trial lesson at the age of 14, Amanda then did her PPL at the end of university before training to be a commercial pilot and a flight instructor. 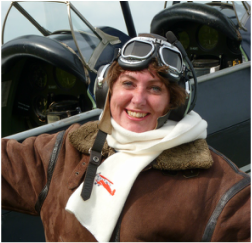 When not flying the Tiger Moth, Amanda flies more modern aeroplanes, which she likes because they have a heater.